This week, a discharged Air Force airman with a criminal record of domestic abuse, including cracking the skull of his infant stepson, stepped into a church in rural Texas and murdered 26 people, at least a dozen of them children. Americans broke out into their usual arguments over gun control and whether “thoughts and prayers” are helpful; we argued over politicizing tragedy and legislating away rights. But each time an evil human being decides to attack innocents, it isn’t the Twitter battles that stand between the monsters and children. It’s heroes. It’s men like Stephen Willeford. In a vacuum, Willeford would be despised by the media. He’s a former NRA instructor — you know, the National Rifle Association, a “domestic terror group” devoted to allowing bloodbaths, according to the left. He probably voted for President Trump. His family has lived in Sutherland Springs for four generations. He’s parochial enough to attend church regularly. You know, he’s a typical bitter clinger. The shooter sped away. Willeford hailed another vehicle, and he and the driver began chasing him. That’s correct: Civilians chased a shooter through the streets and called 911 on the way. The shooter ended up crashing his car. This humble man is an American hero. He’s what America looks like: people in small towns; churchgoers who quietly raise families and make their communities better; people who have so much to lose because they’ve built so much without fanfare or reward; people who go running to help their neighbors when they must; men who run toward danger; men with the training and means necessary to stop bad men. These people have always stood between good and evil. They always will. It won’t be laws. It won’t be regulations. Laws and regulations failed. Americans — innocent Americans — were murdered because of those failures. 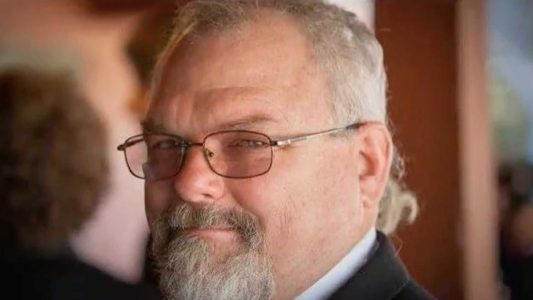 More would have died if not for the heroism of Stephen Willeford. Thank God for him.